In anticipation of the European premiere at FrightFest, Epic Pictures is proud to present a new trailer and poster for The Golem, the new feature film from the directors of Jeruzalem. The film will continue its festival run including a slot at Sitges International Film Festival before debuting in the States in February 2019. 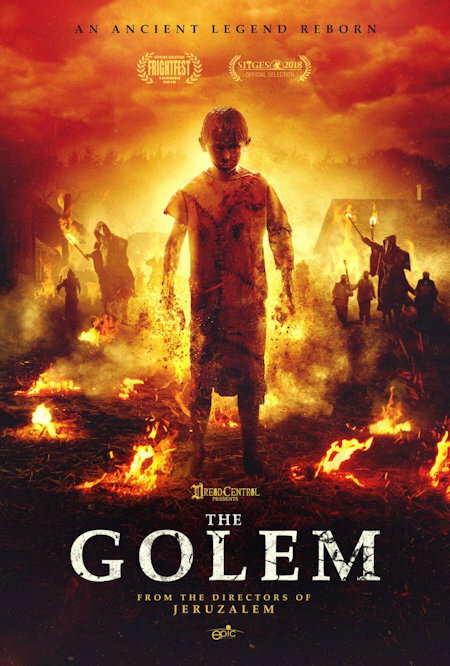 The Golem follows a woman in a devout Jewish community that is besieged by foreign invaders who believe that the Jews have cursed them with a plague. In order to protect her village, the woman conjures a creature in the visage of her deceased child which turns out to be more dangerous than she ever imagined.